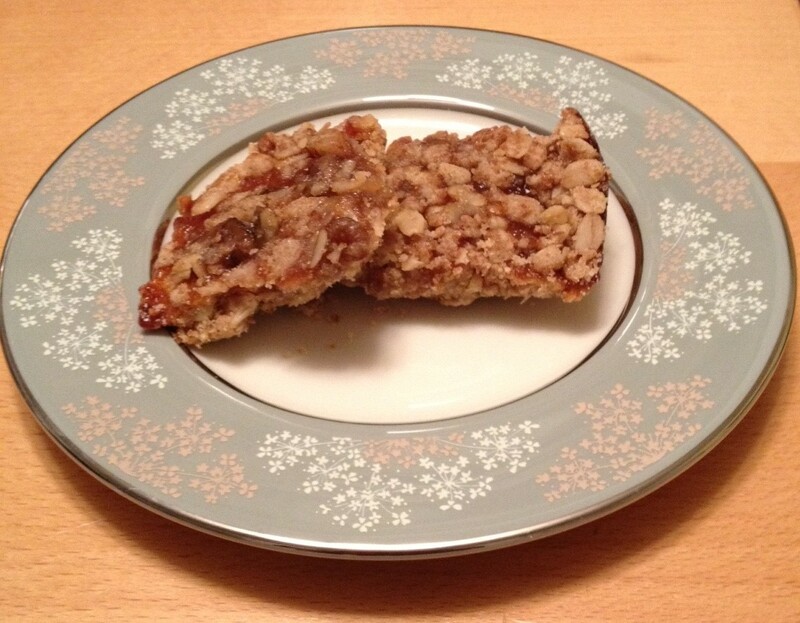 Easy Gourmet Recipes - Apricot Oatmeal Bars Recipe. Healthy natural recipes including breakfast recipes, appetizer recipes, soup recipes, pasta recipes, holiday recipes, party recipes, dessert recipes, gluten-free recipes, raw recipes and budget recipes. This is a favorite vegan gluten-free recipe for bake sales, after school snacks, and just anytime treats. It’s very easy to make and is absolutely delicious. 1. Preheat oven to 325 degrees. Lightly oil a 9" pan. 2. Mix dry ingredients together. Melt shortening and add to the dry ingredients and stir thoroughly. (If soft, but not melted, use your hands to mix). 3. Spread 2/3 of the mixture in pan and press down tightly. (you an use a spatula to make it flat and even). Spread 1 cup of apricot jam (or any other flavor) onto pressed mixture. 4. Sprinkle the rest of the dry mixture on top of the jam and press lightly. Optional: I added chopped walnuts as a topping. I soaked them for 10 minutes before chopping. Bake until crispy (20 - 30 min).